So I’ve given y’all workouts these past 3 weeks, but I also want to talk about the importance of stretching. I love my yoga trapeze (only $70! ), but you can also do versions of these stretches on the ground. 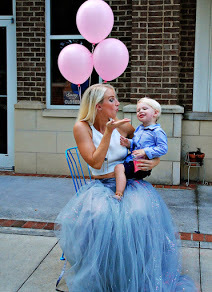 Don’t miss the awesome Whole30 posts by my sweet friends: My Life Well Loved, Stilettos and Diapers, Life Lutzurious AND the BIG GIVEAWAY below! Hamstring stretch- you can either do this on the yoga trapeze or on the ground. If you don’t have the trapeze, do a half split. Hold for 30 seconds on each side, bouncing for engaged stretching. Abdominal stretch. Either do the above on the trapeze or a mermaid stretch. Hold for a minute and focus on your breathing. Hip opener and spine stretch- So you can do this all in one with the above stretch or you can do two movements on the ground- butterflys and straddle hangs. Another important aspect of health is proper nutrition. Ya’ll know I am a big fan of fairlife ultra-filtered milk, and I LOVE their Core Power line. Jason and I always fight over the last one every time. It’s so delicious, like drinking a milkshake. Yet it has 26 grams of protein and 650 mg of Calcium. It is a fantastic post-workout treat that will supplement the muscles and tendons and help them to heal. Would love to try this type of yoga!! There is a studio near me that does trapeze based yoga and it has added pure joy to my practice. So much fun!! I had no idea you could buy a yoga trapeze thing like this. It looks like an amazing way to get those stretches in. I would love to have help toning my arms and abs. I need to get a yoga trapeze – I bet they make stretching more effective! I didn’t think you could do a yoga trapeze in your house these simple exercises seem really good for thevore and it’s great you’ve included pictures of how to do each exercise to. I have never seen a yoga trapeze like this! Oooooh, that looks like so much fun! I admit I enjoy my yoga practice the most when I’m at my gym for my regular class, but I had to miss it yesterday because of the weather – you’ve got me inspired to do it at home instead even though not as fun for me as the group practice! I feel like I’m not doing well on streching though as a blogger we needed a lot :). Amazing post, thank you for sharing! Entered the giveaway on Insta. I wish I had a place in my house to put the trapeze. I know this would make me feel so much better. Plus if I needed to relieve some stress I am sure it would help with that as well. Just wanted to let you know I entered your IG giveaway with all the other ladies 💕!! I have done my yoga since I moved here. I used to enjoy the trapeze yoga, it’s so fun and free. I can only wish I’d look that graceful attempting any of these stretches. It sounds like you have a great giveaway too. Wow no way! That is awesome you can do those things with your body!!! I will look into these drinks! Such a cool workout idea! I entered your IG giveaway too! I really really want to try aerial yoga. There is so many benefits that can come from it. The stretching alone can only feel amazing I imagine. That is definitely affordable! My chiropractor actually said I need to stretch more. Unfortunately I was in 2 car accidents (1 as a driver and the other has a pedestrian) so I have quite a bit of stiffness. Will need to check this out more! Looks like such a good alternative for plain stretching !! Also, I wanted to let you know I entered your IG giveaway!! They offer aerial yoga classes near me and I really should make time to go take it. I’m part of a yoga studio but we don’t offer them. You look great. I so want to try this kind of yoga!!!! I’m going to have to find a place near me that offers this kind of yoga!